Nintendo, through their eBay account, is selling a full Wii Fit set including the Wii Fit U game, a Fit Meter, and a Wii Balance board for the unheard of price of $24.99–with free shipping! I saw this a few days ago but the eBay page said it was 98% sold out, so I didn’t bother posting it thinking that it’d be completely sold out by now. But as of right now there are still some left, so get in on it while you can–if eBay’s numbers are accurate, there are only about 100-200 left out of over 6600. 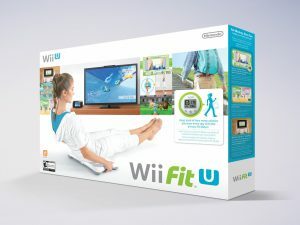 In some ways this is a sad moment–it’s a sign that the Balance Board and Wii Fit are truly at their end of life, and Nintendo is starting to clear out their own inventory. On the flip side, it’s a great opportunity for you to stock up on a Balance Board and Fit Meter (or two) for the price that a Fit Meter or a Wii Fit U game alone would have cost only a short while ago, and probably one of the last times you can purchase one from Nintendo directly. Hard to say what the resale value of these things are going to be–there are millions of them out there–but as they start to end up in landfills and start breaking, there’ll probably be a pretty good number of people in the aftermarket (before Nintendo put this on sale used Balance Boards were going for $30). As I dive into the world of smartphone fitness games, just to prove I haven’t forgotten about our beloved Wii and PS3 for fitness I figure I’d pass along a deal for the Wii and PS3. 🙂 Not sure how long this is going to last, but you can get a pre-owned Wii or PS3 from Gamestop for only $29.99 after rebate. First, go to this page to order a Wii for $49.99 or this page to order a PS3 for $79.99. On your receipt you’ll see a unique rebate code. Enter it at https://www.gamestoprebates.com/. That’s it. You’ll get a $20 rebate, and a used system that’s guaranteed to work. Couple it with some games from our best-of lists of exercise games for the Wii or PS3 and you’ve got yourself a cheap home fitness system. The PS3 is a deal and a half, because with your console purchase you get one of the best 3D Blu-Ray players you can buy “for free”. h/t to the good folks at Slickdeals. This appears to be an unadvertised deal that is showing up on people’s receipts. If my last post about the VirZoom exercise bike for Virtual Reality systems (Oculus, Playstation VR, or HTC Vive) intrigued you, you might want to read on. VirZoom just announced today that they are giving free lifetime VirZOOM Plus memberships to the first 1000 people who pre-order. “Plus” memberships are going to cost $9.99 a month at launch and will give you access to things like online multiplayer mode, leaderboards, fitness tracking for your household, and access to any new games they produce for life. It’s not hard to do the math…at a value of $9.99 a month it means that your entire price will be paid for in two years, and if the demo I saw is any indication this is a company that’ll be sticking around for a lot more than that. This is the kind of product that’ll drive people to buy VR systems, I know it will me. You can read more on their blog post here. In a sign of the times when it comes to the Wii U and fitness gaming, B&H Photo is clearing out their Wii Fit U packages, including the balance board, the game, and the sensor for $19.99. That’s right, for the price some of us paid for the original sensor, you get the whole thing. It keeps going in and out of stock, but jump on yours if you can here. If you already have one, you may want to think about getting another given that once they stop making these, they’re gone forever (unless you count the gazillion you’ll be able to get on eBay :P). Don’t look now, but the official Nintendo store on eBay just put up a listing for a Wii Fit U, Fit Meter, and Wii Balance Board for $25 with free shipping. It sold out of 419 units pretty quickly, but word on the street is that additional units come in and out of stock periodically. If you’ve been in the market for a brand new Balance Board, you won’t get a better deal than this. This isn’t a fitness-related post, but every now and again a deal comes along that’s so good I need to share it. For those of you unfamiliar with it, the Humble Bundle is a project where independent game manufacturers will agree to sell their products at a ridiculously low price. How low? You literally name your own price. It can be anything from $1 to as much as you want. Traditionally, the Humble Bundle has been limited to PC game producers, but that’s changing. As most of you know, the vast majority of games for Nintendo products are first-party games from Nintendo itself. As you also probably know, third-party developers have been fleeing the Wii U and the 3DS en masse. In some cases it’s a good thing (I don’t miss the shovelware products that some fly-by-night publishers inflicted on the Wii one bit). On the other hand, it’s a crying shame that a lot of the big publishers like EA and Ubisoft, are abandoning the platform–even after titles like EA Sports Active and My Fitness Coach made them tons of money from us. The great news is that there are still independent developers making some really great stuff. These developers don’t have the marketing muscle to come up with snazzy packaging, TV commercials, or mass market distribution. But some of their games are really amazing. 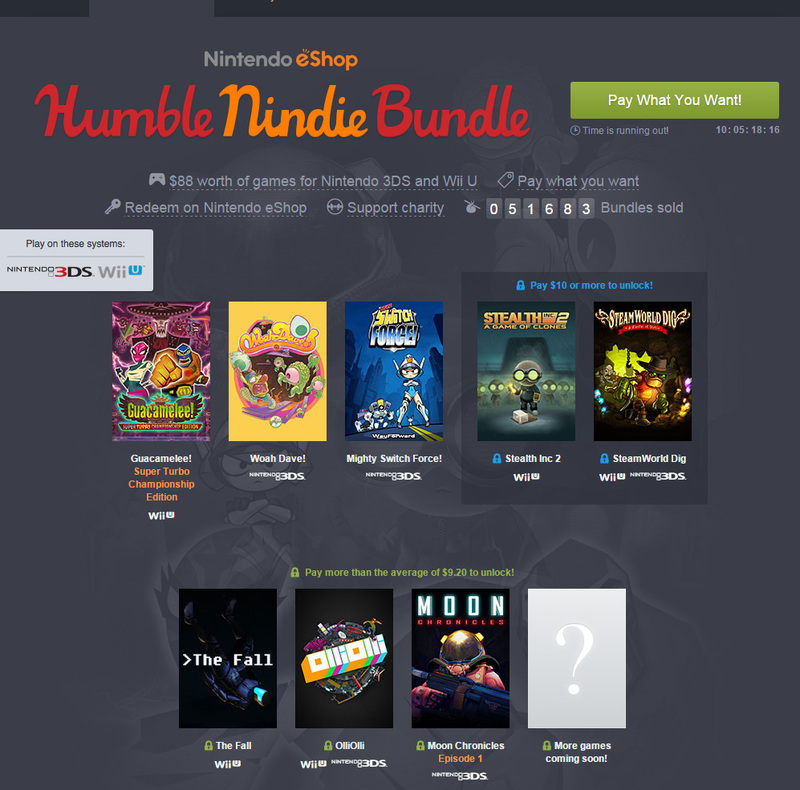 Which is why I’m excited to see the Humble Bundle working with Nintendo eShop. Instead of purchasing downloadable software, you purchase game codes that can be redeemed on the eShop. Guacamelee for Wii U: An action, side-scrolling platforming game, inspired by Mexican culture and folklore, where you control “Juan” as he rescules El Presidente’s daughter. Think of it as a Mexican, slightly more adult version of Mario. It was rated 9.1 from IGH. Woah Dave for 3DS: This is a game that’s fashioned like a classic arcade game. The graphics are in old 8-bit style but as most of us fans of ancient arcade games can attest, that only works to help you focus on the gameplay itself, which is a load of fun. Mighty Switch Force for 3DS: This is a puzzle, side-scrolling platformer in a style slightly reminiscent of Mario where you control “Patricia Wagon” as she jumps and shoots her way to capturing a group of escaped convicts. IGN gave this an 8.0. Stealth Inc 2 for Wii U: Another side-scrolling platformer where you control a goggle-wearing clone and use different types of equipment to solve puzzles and unlock new areas. This was native for the Wii U and uses the GamePad in new and innovative way, something I can’t say for too many other publisher, indie or not. SteamWorld Dig for BOTH Wii U and 3DS: This is an action-adventure platforming game where you control “Rusty” the miner to investigate mines under an old Western town. It got a 9.5 out of 10 from IGN. The Fall for Wii U: Another side scrolling game which got its start on Kickstarter. It contains both puzzle and action elements. OlliOlli for BOTH Wii U and 3DS: A 2-D side-scrolling skateboarding game that mimics real physics as you attempt to perform and land tricks. Moon Chronicles for 3DS: A first-person shooter game for the 3DS spread out over four episodes. You get episode 1 here. More “mystery” games to be announced this coming week. While most of these games are also able to be purchase on other platforms and mobile devices, I prefer to play games like these on my Wii U and 3DS consoles, where you enjoy bigger screen action and more familar control with the Wii U than you get on a PC and 3D action and better controls with the 3DS than you get on a telephone screen. Bought individually, these games would go for over $80. But with this deal, you can get most of the game for under $10 and ALL of the games at $10. And the best thing about it? Your purchase not only helps bring awareness to these great indie games, you can also choose whether your money goes to the developers or Code.org, a non-profit that helps expand the knowledge of computer science and coding to schools and especially to underrepresented populations. Convinced or want to learn more? Check out the Nintendo Humble Bundle here. Back in 2009 (which, can you believe it, was SIX years ago), I wrote my review for Punch-Out on the Wii. It’s funny, I almost forgot I’d ever played the game, but the video shows that sure enough, I played through every fighter before writing my review. The game is one of those that’s become a classic–and a collector’s item if you have an original copy. The original version is selling on Amazon for almost $60 and even the cheaper Nintendo Selects version is going for over $70 new, over $40 used. These few weeks have been full of news from Nintendo. They announced that Club Nintendo was ending, that the new 3DS XL was being launched, and that a bunch of classic titles were going on sale in the Nintendo eShop these next few weeks as they convert classic games to run natively in the Wii U. This week, one of the titles for sale is Punch Out, for $9.99. Great deal on a classic game that can give you a bit of a workout, and because it is native to Wii U there’s no need to go into Wii mode to play. But hurry–it’ll be back to $19.99 at 11:59 eastern time on January 29! If you’re feeling nostalgic, here’s my victorious moment from six years ago. The Wii U Fit Meter is priced to go at Amazon at $10. Word is that at some Best Buy locations, it’s on clearance for $7.99. If you’re a user of Wii Fit U, this might be a good opportunity to stock up on Fit Meters. Get one for the husband, the wife, the kids, and even the dog! While most people have focused on this as an accessory for individuals, there’s actually a ton of utility when you use it as a family. Everyone can “compete” against each other to see how far they’ve walked. It’s a shame that Nintendo didn’t build games into Wii Fit U that allowed families to compete against each other in this way, as it could have been something that really would have helped the same sell more than it did. But even so, you can be creative and make your own games. See who can make it to the top of Mount Fuji first, for example, under their own individual profiles. Grab it while you can–the price is almost certainly going to go back to its full retail price as soon as they’ve cleared out their Christmas inventory. Heads up! Groupon has a great deal on Wii Fit U, a new Balance Board, and two Fit Meters. Normally just the game itself sells for $40, but for just an extra $10 you can get a new Balance Board and another Fit Meter. Granted, Apple has gotten a lot of attention lately after their release of iOS 8, which includes the pretty spiffy Health application that tracks your steps, stairs climbed, and walking and running distance. But for all of Apple’s advancements, Nintendo still offers two things that Apple doesn’t–the ability to measure weight and activities that are a lot of fun and offer exercise and balance. Considering that not so many years ago the Balance Board itself was selling for well north of $100 on its own, this bundle is a great deal. While Nintendo is clearly starting to plan for a post Wii U world as it ramps up its “quality of life” business (more on that later), Wii Fit U, the Balance Board, and the Fit Meters still stand at #1 of our list of Wii Fit U games, and would make a great gift for someone in your life who happens to have a Wii U.
It’s been a while since I reviewed a Wii fitness game and for good reason–seems that over the last year the genre has all but dried up. Just a few years ago it seems that I couldn’t go by a week without finding a new Wii exercise game, and Sony and Microsoft were falling over each other trying to get into motion controls. Today, third party developers have fled the Wii, Nintendo is focusing on trying to recover from its Wii U missteps by releasing traditional games like Mario Kart 8 and Smash Bros Wii U, Sony has all but abandoned the Move, and Microsoft paid dearly for trying to force the Kinect onto users. 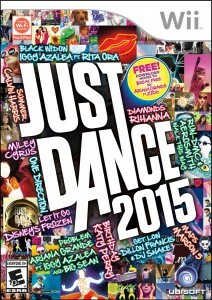 But one thing is as sure as the dawn: Ubisoft coming out with yet another Just Dance. I admit, when it came time for me to try out Just Dance 2015 (or if you’re keeping score, what should be “Just Dance 6”), I wasn’t particularly enthused. As someone who’s played every version of Just Dance since the first one in 2009, I was admittedly getting “Just Dance Fatigue”. Sure, it’s been a lot of fun over the years, but I wondered if there was really anything more that Ubisoft could add to the franchise that hasn’t already been done? After playing Just Dance 2015, I’m happy to say that Ubisoft yet again has pushed the franchise forward. And this time they did it with the online play, which they finally got right. Before I talk about the online play, I’ll review a lot of what I like about the rest of the game. You start out Just Dance 2015 by creating a “Dance Card” which will be your identify throughout the game. You start by choosing an avatar from a selection of cute cartoon faces. There are 227 avatars in all to choose from. You’ll start out with only 14 but can unlock additional ones by spending “Mojo Points” (the in-game “currency” you earn each time you dance). You also enter a nickname, your country (choosing from 135 country flags), and your age range (which again to the chagrin of us older adults only goes up to 40+). As for the features, most of these are features Ubisoft perfected in previous versions of the game and wisely decided to continue in this version. They even have the theme music for the video game “Tetris”. – Choreography – The choreography, once again, is fantastic. As they usually do, they did a great job of capturing the spirit of the songs, in some cases using actual moves from the original artists’ video. While 1-4 players can dance to any song, certain songs are choreographed for 2, 3 and 4 players and the moves can get pretty intricate and interactive (making it as much fun for people watching as it is for the people dancing). Overall, the steps are simple enough that newbies can play along, but complex enough that they’ll look impressive on a real dance floor if you master them. As a bonus, as you play you’ll be able to unlock alternate choreography for many of the songs. For example, “Happy” has a “Sing Along” mode and “Diamonds” has a “Seated Dance” mode. – Motion Controls – Ubisoft pretty much perfected the motion controls a few years ago, at least as well as they can be on the Wii. Even though you still hold a single Wii remote in your right hand, they’ve gotten really good at detecting whether you’re truly doing the dance moves correctly. A lot of people felt over the years that Microsoft would own this category with Dance Central, but as the dust has settled the king of the hill is still Just Dance on the lowly Wii. – Artwork – Again, Ubisoft stuck to the formula of using simple cartoon drawings and backgrounds, and it still works. Some of the artwork is beautiful, others are hilarious, and the animations that build up as you dance really keep you engaged during the game. – Workout – With Just Dance 2015, Ubisoft did away with the confusingly named “Just Sweat Mode”, and simply allows you to turn on calorie tracking for any song as you play the game. Similar to “Just Sweat Mode” in past games, there’s also a Playlist mode that lets you select songs to dance to for 10 minutes, 20 minutes, 40 minutes, or non-stop. Unfortunately, you still don’t have the capability to save playlists. – Community Remix – There’s a feature for the Xbox and Playstation that allows you to record your dances with your console’s camera and share it. While this feature isn’t available on the Wii, you will be able to play remixed videos that feature montages of actual people around the world leading you with their moves. Currently, there’s a version of Pharrel’s “Happy” that’s a lot of fun, and there’ll be more. If that were it, I’d probably give this game 3 1/2 or 4 stars–it’s a solid game, but up to this point there wasn’t much new. But what blew me away with Just Dance 2015 were the vast improvements in online play. World Dance Floor – On the lower right-hand corner of the main Just Dance 2015 screen, you’ll see the words “World Dance Floor”, along with the number of dancers around the world currently dancing and the song everyone is dancing to. Click on it and within seconds you’ll see a single button that says “DANCE NOW”, along with the avatars of everyone who’s online at the moment and what country they’re from. As you dance to the song, you’ll see how well you’re doing vs. the others in your party. As you hit moves and improve your score, you’ll see your avatar’s position rise against other players. I have to admit, it’s addictive trying to beat your fellow dancers and get that #1 spot. And even if you can’t keep up with the top players, the better you do the more you’ll be helping your “side”. Once you finish dancing, you’ll see whether your side won, and you’ll also see how you compare not just to your own party but to everyone around the world dancing at the moment. Similar to Wii Sports Club, you’ll also be able to use your Wii remote’s buttons to communicate short, pre-programmed phrases to the community (like “Lol” or “I love it” or “Oh no”). In some cases you’ll be able to vote on the next song to dance to. When you decide to stop, you’ll see your current “online level”, how many minutes you danced, and how many different dancers you were dancing with from how many different countries. I love how they simplified now just the process of joining in the World Dance Floor but the gameplay as well. Dance Challenger Mode – With typical Just Dance songs you can dance with up to four players holding four Wii remotes. For the first time, you’ll also be able to activate “Dance Challenger Mode” which will fill up any empty slots with online players OR against your best performance from the past. Unlike with World Dance Floor, you’re not competing against live players, but you are competing against real people’s performances. There’s only one major glitch I encountered; at a certain point when I was configuring avatars, the game crashed my system, resulting in a freeze that required me to unplug my unit and plug it in again. Hopefully that has just a one-time thing. In addition to continuing to be one of the most entertaining video games you can play at family gatherings or parties, Just Dance 2015 is still one of the best ways you can get exercise while playing a video game. Ubisoft did a great job of carrying over the best things about previous versions of Just Dance, but it’s the updated song list and the improvements in online features that make Just Dance 2015 worth buying. p.s. quick favor…if you liked this review, could you go over to Amazon and “like” my review (titled “Still one of the best video games for groups or workouts, improved by a great song list and vastly improved online capabilities”) over there? It’s a silly thing, I know, but I kind of like having my review rank there 🙂 Thanks! !